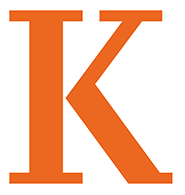 The department of religion introduces students at Kalamazoo College to all aspects of the academic study of religion. In our courses, students learn about what it means to define a religion, factual information about many different religions, and different methodologies that we use to study religions. We offer a range of courses for students, from Biblical traditions to the Religions of Asia and in the United States. In all of our work, we are committed to mutual respect, and open and honest inquiry into questions of what it means to be religious and what it means to understand religions around the world. Other information about the Department of Religion is described through the links at the left. Current students will find details about courses, planning for Senior Individualized Projects and Comprehensive Exams. The Religion Department is located in the Humphrey House.